1 What Is CBD Oil For Dogs? 2 Why Should You Give Your Dog CBD Oil? 3 What Is an Endocannabinoid system and what is it do? 5 How Much CBD Oil Should I Give My Dog/Cat? 6 Can I Give My Dog/Cat My Human CBD Oil? 7 Can My Pet Overdose On CBD? Why Should You Give Your Dog CBD Oil? What Is an Endocannabinoid system and what is it do? First, we need to understand the most important concept in biology which is Homeostasis. It refers to the ability of an organism to maintain stability and compensate for environmental changes. We want to maintain all our levels at normal position (not too high and not too low) and these self-regulating processes are called Homeostasis. Endocannabinoids comfort and stimulate the Endocannabinoid receptors that are found in the brain, organs, connective tissues, glands, and immune cells. The endocannabinoid system is also tasked with maintaining immune and cellular balance internally, known as homeostasis, despite external forces that might otherwise interrupt balance in the animal’s systems. The body’s endocannabinoid system is a vital molecular system for helping maintain homeostasis. This biological system capable of interacting with its active chemical compounds like CBD and THC. Just like us, humans, animals like dogs, cats, and horses have an endocannabinoid system responsible for maintaining balance and health. Recent research indicates that the endocannabinoid system plays a role in memory, appetite regulation, anxiety, immune function, and inflammation. The FDA approved the use of CBD oil to treat two forms of epilepsy, Lennox-Gastaut and Dravet syndrome. This CBD hemp extract is now featured in high-end products like body lotions, coconut oil, bath scrubs, olive oil, jam, coffee and coffee drinks, lip balm, infused water, gummy bears, candy bars and pet treats. So, what is CBD Oil for dogs and cats? In my previous blog, I talked about CBD Oil benefits for us, humans. Turns out our little furry friends can gain same healthy, or maybe in some cases life-saving benefits, as we are, using CBD. Canadian vet Dr. Katherine Kramer, from Vancouver Animal Wellness Hospital, first tested CBD on an elderly cat six years ago and is now a worldwide authority on the subject. CBD Oil can help with allergies, anxiety, appetite, arthritis, cancer, chronic pain, digestive issues, fatty tumors, glaucoma, homeostasis, inflammatory bowel disease, inflammation, joint and mobility issues, phobias (including fireworks and thunderstorms), seizures and skin problems. I want to concentrate on these 11 benefits to help your pet overcome some health ailments. Many dogs experience anxiety. These symptoms could be caused by separation, thunderstorms, loud noise like fireworks, or travel. Anxiety may cause your dog to pace, whine, or even become destructive when they are left alone. Some dogs cannot handle being confined in the crate. CBD oil may greatly reduce your pets’ nervousness. Dr. Stephanie McGrath, a neurologist at Colorado State University’s James L. Voss Veterinary Teaching Hospital, has revealed initial findings from a groundbreaking study to assess the use of cannabidiol, or CBD, for dogs with epilepsy. Based on her research, she found that 89 percent of dogs who received CBD in a clinical trial had a reduction in the frequency of seizures. “Overall, what we found seems very promising,” she said. Read more about this study. Being a dog lover myself I understand how painful it must be to watch your best friend suffer every day and you’ll do anything in your power to help him. Fortunately for Larry’s dog, he managed to find a solution to ease his suffering and his dog still alive after 18 months after he was told he would die. That’s good enough reason to try anything that may help your pet. Cannabinoids can help reduce both physical and neuropathic pain. Israeli researchers found marijuana gave substantial pain relief to more than half of 1,200 cancer patients who used it for 6 months. In a review of 16 published studies including more than 1,700 participants with chronic nerve pain, German researchers found that marijuana-based remedies increased the number of people who reported a 50% or more reduction in pain relief. Check out this article from New York Times “Pets on Pot: The Newest Customer Base for Medical Marijuana” filled with real stories of dogs and cats in different states and how they find relief. Arthritis causes inflammation in joints and as a result of chronic pain. The most common reason is old age, as joints naturally degrade over time, but injury or trauma can also cause arthritis. Overweight cats and dogs are also more likely to develop arthritis as their excess weight puts extra pressure on the joints. Medical research shows that CBD can be a great help to reduce inflammation. While CBD can greatly help in preventing cancer cells from forming and spreading, it is the sad truth that some cats and dogs will have to undergo conventional cancer treatments such as chemotherapy and radiation. These harsh treatments can prove to have any adverse reactions for your pet including a loss of appetite and horrific nausea. If your furry friend has to undergo conventional treatment for cancer, CBD can help ease the associated symptoms. Diabetes is a chronic disease that can affect dogs and cats and other animals. It caused by a lack of insulin or inadequate response to insulin. Dogs and cats, just like us, can develop Type I or Type II diabetes. If diagnosed early it is treatable, if ignored, it can cause blindness, seizures and it can be fatal. There is no sufficient evidence that CBD can help your pet with diabetes, except for some owners report that using CBD oil on dogs with type II diabetes may be useful to reduce insulin resistance. Annie, a 9-year-old German shepherd-Malinois mix, takes three droppers of CBD oil in the morning, and three at night in addition to her other supplements. During a routine checkup at the veterinarian, the family discovered Annie was suffering from arthritis and hip dysplasia. She was also sedated for the visit, and after the anesthesia wore off, Silverman said the once-active pup didn’t seem to move the same way anymore. CBD for cats and dogs promotes overall wellness. It is not only used for treating and curing but also prevention. Adding a CBD supplement into your pet’s diet can naturally improve their day-to-day life. 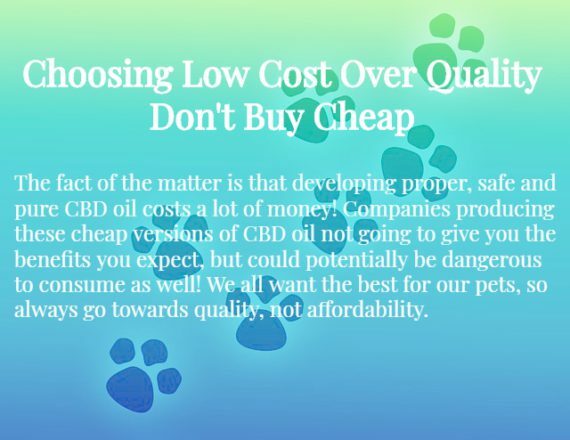 Most people are still reluctant to give their pets CBD oil, but for those owners who see their best friends suffer and conventional medications does not help, they turn to CBD. How Much CBD Oil Should I Give My Dog/Cat? High-quality products will actually supply their own dosage charts which are specific to their products. They will have a specific formula for their products based on the weight of your dog/cat. Also, remember that your dog’s ailment can also affect how much CBD they should be taking. Remember to start slow and watch closely for the change in your pet’s behavior. Can I Give My Dog/Cat My Human CBD Oil? If you ask me, I wouldn’t give my dog human CBD. There are many great companies that produce CBD products, design for dogs and cats. 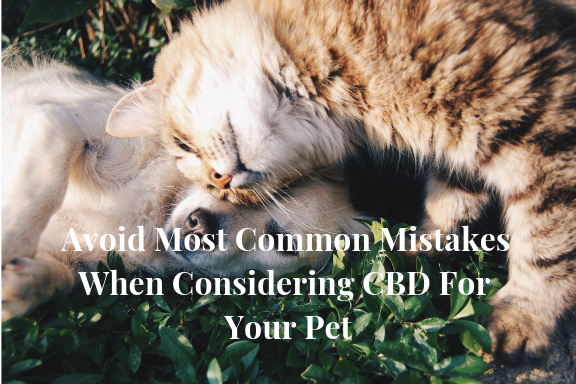 No, your pet cannot overdose on CBD, just follow the recommended dosage from a manufacturer or your vet and watch your friend closely. I wouldn’t recommend giving your pet CBD oil which contains THC unless it’s a special case and your veterinarian doctor recommends. Pet owners buy CBD oil tinctures and cat and dog treats infused with CBD with hopes their best friends feel happier and more comfortable. Many more studies need to be done. Not every vet is a fan of CBD treatment. Many veterinarians are still old school, pushing conventional medications. But we all know, those meds have devastating side effects. Traditional medicine does not treat a cause but rather addressing symptoms. CBD, on the other hand, have very limited side effects and every day there is evidence of helping our little precious friends. If CBD is officially proven to be beneficial, as its advocates believe it is, it may be revolutionary. In the meantime, it could be the last resort for owners, who tried conventional medicines that failed and who can’t stand to see their beloved furry friends suffer. *All content found on the www.bestsupplements4u.com website, including text, images, audio, or other formats were created for informational purposes only. The Content is not intended to be a substitute for professional veterinarian advice, diagnosis, or treatment. Always seek the advice of a qualified health professional with any questions you may have regarding a medical condition. Never disregard professional medical advice or delay in seeking it because of something you have read on this website. If you’re also trying CBD for the first time, or you’ve already had experience with these products, leave your personal review and tell us how it benefited your pet! This is a very informative post. I am not a pet owner but I can definitely see the importance of this topic. Splitting posts like these that have a lot of info may be better though. information together. And splitting is a good idea, it’s just when I start writing it’s hard to stop. Thanks for this informative post on CBD. I have never heard of it but I am glad I now know what it means and how it can save pets’ lives. I also like the fact that CBD oil for pets has some flavoring! It is also good news that the side effects of CBD are minimal. Thanks a lot for your feedback. Glad to provide high-quality content and inform my readers. don’t know how CBD oil can benefit them and their furry friends. I’ve been seeing so much content about CBD oil lately, but I hadn’t thought about using CBD oil for pets, so I thought I’d read your article to find out more. It’s good to know that I can provide my dog with CBD oil if I feel she needs it, but I will make sure to do full research first. Thanks for sharing this and I’m glad I came across this post. and this gives me a great pleasure. Definitely, do some research but it’s good to know this stuff is available.